The Inspection Boys is the Most Inexpensive and reasonable Franchise Opportunity in the Home Inspection Arena. 1. A true partnership, we value our franchisee partners and place there success at the top of our priorities. 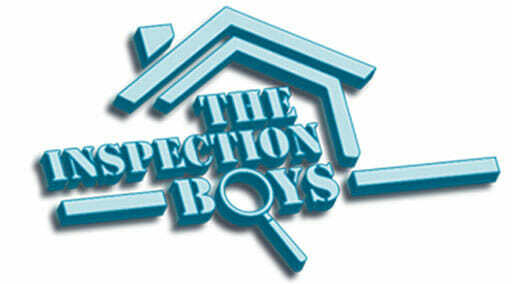 The Inspection Boys will assist each location every step of the way to maximize there potential! 2. Corporate owners are licensed inspectors and teachers in the industry. We have the ability to advise our partners more accurately having done everything you will do and need to do first. 3. The Inspection Boys unmatchedd marketing strategies to maximize exposure day one you are in operation! 4. Potential of an increased position with corporate for newly opened locations to help with development in there area. 5. The only franchise willing to back up there talk and show the confidence in there ability to assist each franchisee grow and succeed. For starters, let’s discuss DEMAND. The average American purchases 2-3 homes in their life time. Currently, U.S. population is estimated to be 325 million with a consistent increase of over 2 million each year. Why is this important? More people equals more housing needed which equals continuous building to support the demand. In 2017, there were approximately 6 MILLION HOME SALES and roughly 5 MILLION HOME INSPECTIONS, which adds up to a roaring ratio close to 85% of all the real estate transactions. NO PRIOR CONSTRUCTION OR BUILDING KNOWLEDGE REQUIRED. What is required is a dedicated individual who is willing to work hard and strive to improve each day. Besides for the great demand of home inspections, it’s simply one of the fastest and most affordable methods to develop rock solid business in a thriving industry that will consistently provide you with a steady income. In addition, it will give you the freedom to work from the comfort of your home with a low overhead and a potential to rebuild a real business to be proud of and establish an income to create wealth. Just ask our newest franchisee partners! We are simply the best choice when considering entering the home inspection arena. We have developed a system that will make life easy for you. 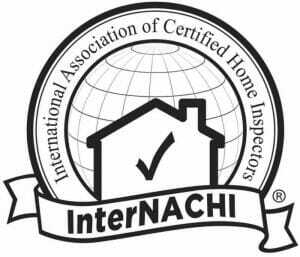 Everyone can do home inspections and anyone can hire home inspectors but a successful home inspection business is much more than that. When entering a new field or if you’re currently in the field, but not succeeding, you will quickly understand the following. There is a lot to get your business off the ground to be successful and that costs money. Majority of individuals who attempt this fail due to the fact of their inability to absorb the financial setbacks, their inexperience or lack of knowledge costs them within their first year. Purchasing a franchise or any new business is one of the biggest decisions you can make and we understand that. This is why our franchise model differs from any others you may have researched. Here at The Inspection Boys, our founders firmly believe in supporting each and every franchisee partner that comes aboard. What does that mean exactly? That means that we are not the “set it and forget it” franchise that will give you the “game plan” and after training, you are on your own. We will have a constant open line of communication with each franchisee partner! Our mission is to put each and every partner in position to not only succeed, but grow a business to heights that never seemed possible! We will be here to support, motivate, and educate you along your pursuit of greatness! Our hands on approach gives each franchisee the feel of having an on-site partner without splitting half their income for it! The Inspection Boys don’t believe in extra fees, monthly minimum charges, or any other monthly payments that add an unnecessary stress to an emerging business owner. Not only are we a Home Inspection Franchise Company that has the lowest start-up cost and lowest royalty program, we offer the largest value in the industry. Our state of the art marketing software, as well as our constant pursuit to improve and maximize our franchisee partners business displays our dedication to our partners. What’s the Cost to get me started? The Inspection Boys is the most Inexpensive Franchise Opportunity in the Home Inspection Arena that offers the MOST VALUE to their franchisee partners. When you join The Inspection Boys, we will review all your financial and funding options to ensure that you have a solid foundation for your new business and you’re on the road to succeed! The Franchise fee is $39,500. Our goal is to ensure that you’re making a confident decision as well as being comfortable with your new partners. We look forward to having a very successful and profitable venture together! The diagram will provide you with an estimate of the initial expenses you will incur in the launching of your franchise. How much $$ will I earn? As the old saying goes, “Garbage In – Garbage Out” which translates into the harder you work – the sweeter the results. One of the reasons you’re buying a franchise in the first place, is to maximize your chances of being successful by having a PROVEN system in place from day one! In short, it all comes down to the commitment and effort you’re going to implement in your local territory, that will be the deciding factor in shaping your success. We are confident that collectively there is nothing that we can’t help you accomplish. DOWNLOAD PDF TO GET STARTED! JOIN THE INSPECTION BOYS TEAM TODAY! Use this form to get information about owning your own The Inspection Boys franchise! Are you a Veteran or Law Enforcement? What is your timeframe for opening a business?